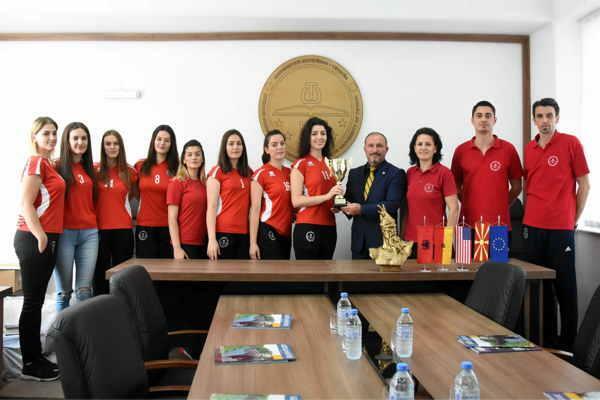 Rector of the University of Tetova, Prof. Dr. Vullnet Ameti, today in his office hosted the women’s volleyball club of the University of Tetova. 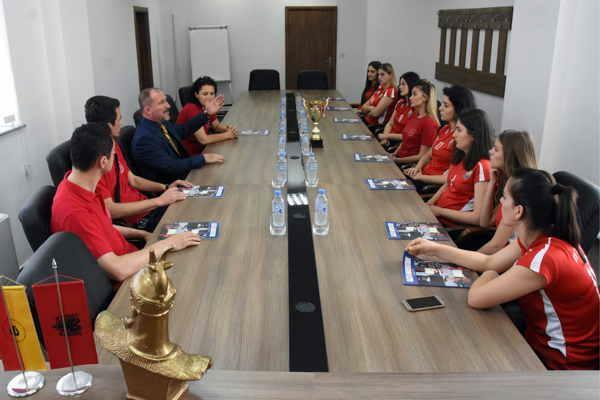 At this meeting present were the manager of the women’s volleyball club “University of Tetova”, Laureta Abazi, together with assistant coaches Naim Abazi, Florent Islami and volleyball players.The aim of this meeting was the presentation of the cup that women’s volleyball club “University of Tetova” won in this championship. 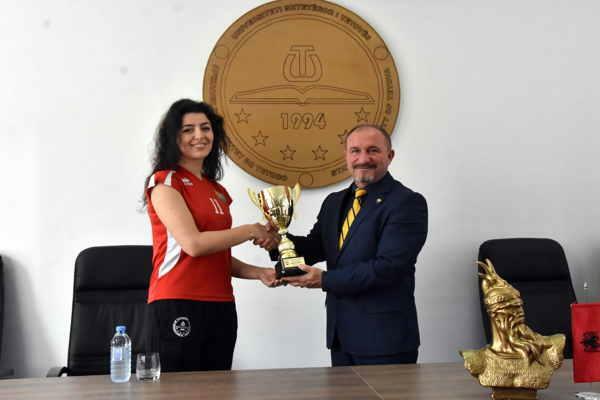 The cup and the first place medal that was won in this championship, the Rector of the University of Tetova bestowed to the captain of the team, Elinda Jonuzi. Special attention in this meeting was paid to the results and achievements of the club since its establishment until the present date. 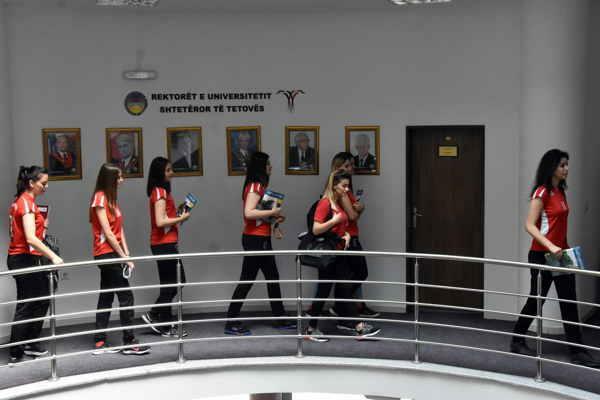 Rector of UT praised the work of the club, adding that the University of Tetova will not spare the support for the club. 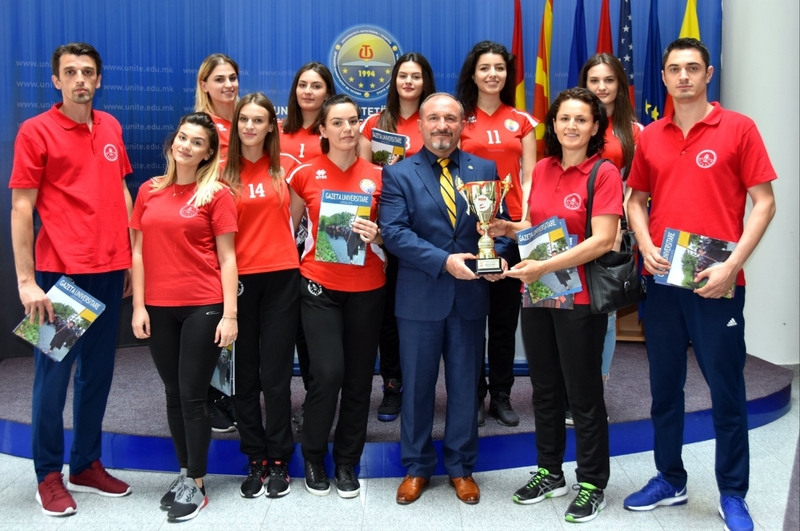 Manager of the club “University of Tetova”, Laureta Abazi, said that the team she manages is very grateful for the support and conditions that have been offered to them. According to her, in the following years with these opportunities created, this team will continue the advancement. It was said also that club’s successes should not be stopped even in the future and it will be needed the support from everyone for a single purpose, to raise sports culture to the highest level and to mark succeses.